Remove ignition coils. Refer to EM-45, "Exploded View". Do not drop or shock ignition coil. Do not disassemble ignition coil. Loosen bolts in reverse order shown. 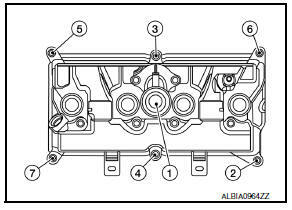 Remove PCV valve and PCV hose, if necessary. 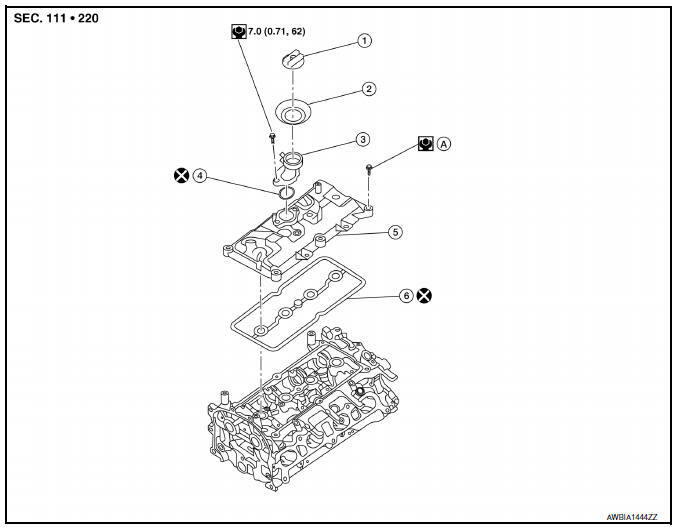 Remove rocker cover gasket from rocker cover. 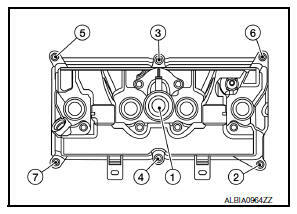 Install the rocker cover gasket to rocker cover. Check the gasket is not dropped. Tighten bolts in two steps separately in numerical order as shown.